Peter has over 15 years of experience working with FTSE 100 companies and major government departments securing critical national infrastructure from significant fraud and cyber attacks. He started his career as a software developer, dealing with real time data feeds, where he worked closely with clients to develop a deep understanding of data, how to exploit it internally (for company benefit) and how to protect it from external threats. Prior to Tempest, Peter was a senior executive from BAE Systems where he grew their financial crime business and then helped integrate it with their cyber security business, delivering significant growth and market traction each year for the last 10 years. Peter holds a Master’s Degree in Electronic and Electrical Engineering degree from Birmingham University. Alex has an Information Technology and Networks background with recent exposure to the specialised security solutions and operations environment. He has been prominent in advising a range of public and private sector organisations on their cyber security posture and strategy, helping them to forge the right policies and practice for their teams as well as identifying appropriate solutions to mitigate their threat exposure. 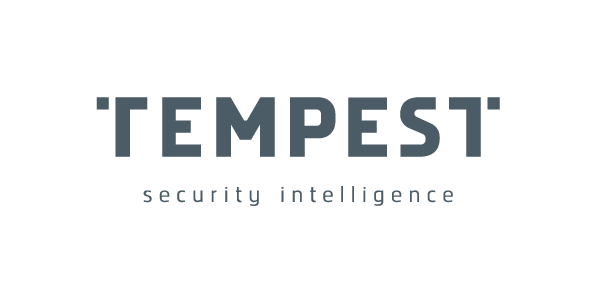 Often working with clients, including retail, Government and financial services, who faced daily attacks, Alex has joined Tempest Security Intelligence to continue building strong industry relationships and to support our long-term growth plans and business strategy. He currently oversees Tempests International Business Development Programme that includes Anti-Phishing Simulation - Education and Awareness, Threat Intelligence, Penetration Testing and Online Fraud Prevention for e-commerce and digital banking. One of the country’s leading experts on combatting employee dishonesty, commercial investigations and covert methods of evidence gathering. After 13 ½ years in the police service, where David specialised in field intelligence, he established Expert Investigations Group 18 years ago. David is regarded by many in the legal and commercial sectors as the go to person when seeking a resolution to their issues. He has made it his mission to educate organisations on where their employees will be dishonest, the tell-tale signs of it occurring and how they can detect, disrupt or prevent their activities. David’s work has led to the imprisonment and conviction of dishonest employees. David is often found commenting on national and local radio, television and specialist publications. He is also a technical adviser for the BBC TV production team and has conducted academic studies in the field. David regularly delivers presentations to organisations such as CIFAS, Institute of Credit Management, CIPD, Institute of Directors and uses his online presence to educate employers and the legal sector as to how tackling dishonest employees can not only ease a financial burden, but avoid a PR upset for companies.